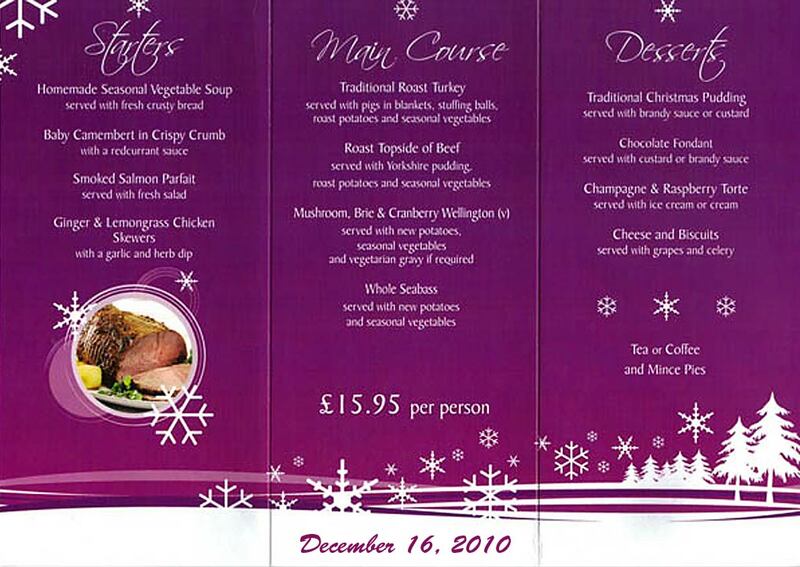 Please see below a copy of the menu for the Christmas Lunch on December 16 (12.00 ish) at The Red Lion, Offley. The meal will cost £15.95 per head. (wine and beer extra). Last year it was reckoned to have been a very successful meal for the section, so we're hoping to get a good level of attendance again. 2) What your preferred memu selections are. I need to know AT THE LATEST by end November, but if you can let me know in the next couple of weeks, that would be great. I shall hand out details to people cycling, so there will be chances for others to join in who fail to read the email! Would any of you in contact with people not on email and who might like to come, please give the information to them and tell them to contact me if they wish to attend. No money to me, yet.